Greetings from the Supportive Care Working Group. As the SIOP 2017 Annual meeting is approaching, we will like to update you on the program regarding Supportive Care issues. This year also, we will have an educational day on day -1 (Thursday, October 12, 2017, whole day) , a joint meeting of the SIOP Supportive Care WG and SIOP Nurses Committee. The topics to be included are Pain management in children with cancer , Chemotherapy induced Nausea and vomiting, Fatigue , Adherence to Chemotherapy Regimens, Pediatric early warning score scale PEWS. We will have distinguished moderators (4) and speakers (11), and attendance is open to all physicians, nurses and other health care professionals. We will like to remind you that this year the educational day is complimentary. There will be a Supportive Care WG business meeting on Sunday October 15, 2017 at 1.30 p.m. We wellcome all who are interested. On day-1, within the PODC educational day, there will be a 90 minute session on Supportive Care, starting at 3.45 pm. The topics included are: febrile neutropenia-risk stratification and management especially in resource limited settings; tuberculosis during cancer treatment, diagnosis and managment of viral rash. Members of the SIOP Supportive Care WG are collaborating with SIOP-PODC Supportive Care WG and other international Supportive Care Groups. Collaboration with MASCC (Multinational Association of Supportive Care in Cancer) is continuing. The MASCC/ISOO 2017 Annual Meeting in Supportive Care in Cancer is taking place on June 22-24, 2017 in Washington. 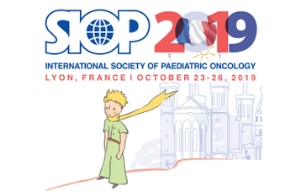 Marianne van de Wetering, past-chair of SIOP Supportive Care WG, has been the chair of MASCC- Pediatric Supportive Care working group since 2011. 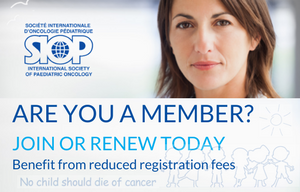 In collaboration with POGO (Canada) Development of International Supportive Care guidelines ; the International Pediatric Oncology Guideline (IPOG) network has been active in setting up an international network on the progress of guideline development. Many members of the supportive care working group are involved worldwide in guideline development. We hope you have a wonderful summer and we hope to meet in the SIOP 2017 annual meeting in October in Washington.